A high-voltage rack/tower convertible UPS with line interactive topology and an adjustable output of either 220, 230 or 240 VAC, the CyberPower Smart App Sinewave PR2200ELCDRTXL2U provides battery backup, power protection (using sine wave output), and surge protection for corporate servers, department servers, storage appliances, network devices, and telecom installations requiring Active PFC power source compatibility. The PR2200ELCDRTXL2U uses Automatic Voltage Regulation (AVR) to correct minor power fluctuations without switching to battery power, which extends battery life. AVR is essential in areas where power fluctuations occur frequently. Even brief power outages can result in data loss or hardware damage. 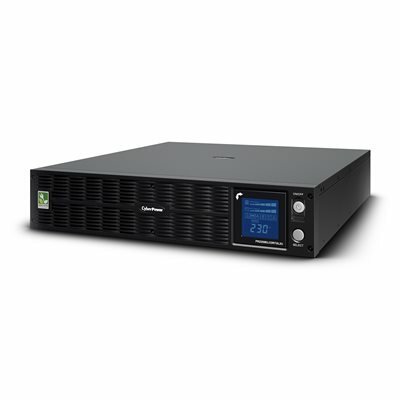 This UPS system provides enough emergency backup to keep your equipment running during momentary outages, and enough runtime power to close files and properly shut down IT or networking equipment during extended outages. It also safeguards connected equipment from storm-related power surges, activity on the power grid, or high-powered equipment turning on and off. Automatic Voltage Regulation (AVR) stabilizes incoming voltage, preventing chronic problems caused by minor but frequent power fluctuations. This product comes with a with a $400,000 connected equipment guarantee. See user manual for details. 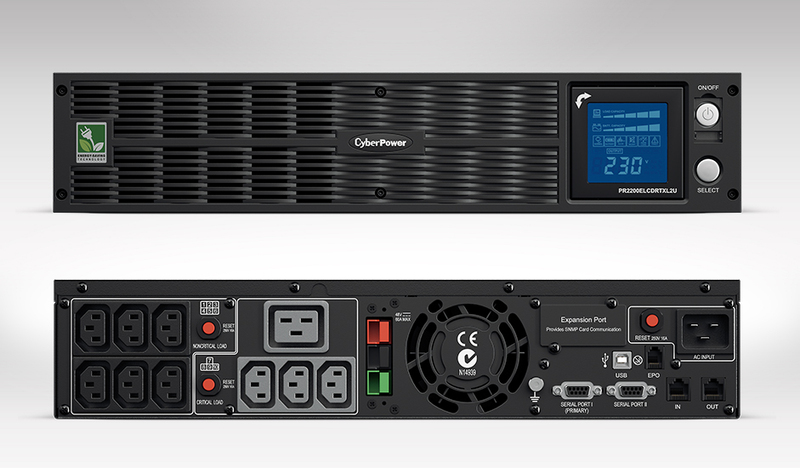 CyberPower will repair or replace a defective UPS system within three years of purchase. See user manual for details. Use PowerPanel® Business Edition software to manage runtime, track power events and more.